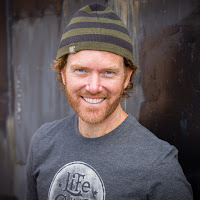 Co-founder of Life is Good on spreading the power of optimism. John Jacobs and his brother Bert launched the Life is Good Company with $78 in their pockets selling t-shirts on the streets of Boston. Today, Life is Good is a $100-million, positive lifestyle brand sold by more than 2,000 retailers across the U.S. and Canada. Their inspiring business story and lessons on optimism and corporate social responsibility will demonstrate how focusing on the good can transform your mindset, business, and take you anywhere.